Most companies are built for continuous improvement, rather than for discontinuous innovation. 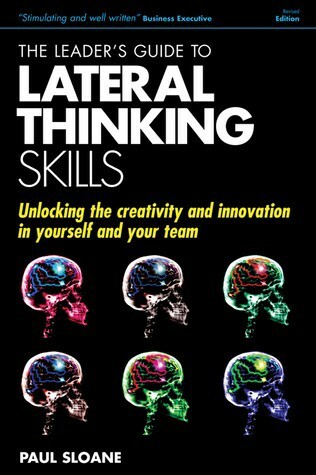 “The Leader’s Guide to Lateral Thinking Skills” is written by Paul Sloane, author of many books on lateral thinking and management. The book starts off by explaining the need for innovation. It then gets into detail on making your organization fertile for creative thinking and being more receptive to it. Along the way, we get to explore various tools and techniques like mind mapping, fishbone analysis, prototyping, etc. The book is relatively short and is well structured. Every chapter, usually has a lateral thinking puzzle at its end. The writing is non-offensive. I liked the concept behind this book, that is, using lateral thinking in your organization. The single biggest issue I have with this book is its lack of focus on lateral thinking. It might have been just me, but I wanted to see more about lateral thinking in a book which has it has its main subject. “The Leader’s Guide to Lateral Thinking Skills” was ultimately underwhelming. The book, per se, is not bad. It’s just that it didn’t accomplish what it set out to do i.e. instill lateral thinking skills. I found little of lateral thinking and more on improving general management skills. Unfortunately, this has been seen before in other books; Lean Start-up for example. If you are looking for an above average book on management (not necessarily great), this book will satisfy you. If you are looking for something unique, this book is going to be a disappointment.